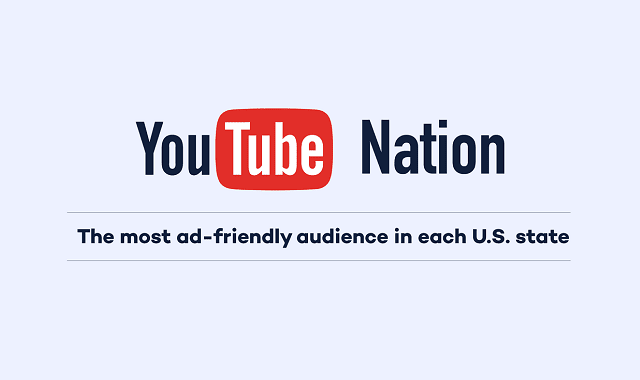 YouTube Nation: The Most Ad-Friendly Audience in Each U.S. State #Infographic ~ Visualistan '+g+"
America may be a melting pot, but certain states still have their own flavor. That's especially true on YouTube, where ad engagement levels speak to what brings most of the country together - and what makes other areas totally unique. 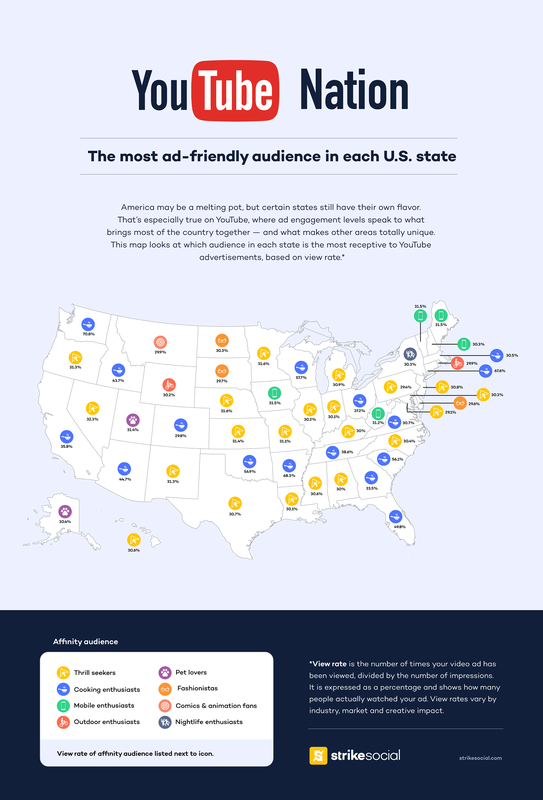 This map looks at which audience in each state is the most receptive to YouTube advertisements, based on view rate.